Someone sent me a link a few weeks back about a free book from Microsoft. 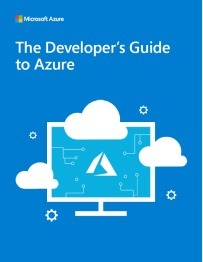 It’s the Developer’s Guide to Azure, and you can download it in Kindle or other formats. I actually got it for the Kindle on my phone and went through it in my spare time during the last couple weeks. The book is a typical overview e-book, similar to what I’ve found in other areas from Microsoft. It’s very high level, with some examples and code, but very limited in scope and coverage. What I did like about the book is that it really describes all of the different services that Azure offers at this time, with some examples of how you might think about them. There were a few services I hadn’t heard of, so this gave me a tiny bit of insight into what they are and why they might be useful for me. If you haven’t spent a lot of time looking at Azure and keeping up with the advancements, you might pick up this book as a good general guide that will help you think about which areas you need to focus more attention, read about, or even build a PoC. I was especially interested in the security section, as I haven’t done much myself with Azure Active Directory and I wasn’t aware of all the services that exist. The book ends with a nice walkthrough of setting up some different services and configuring them. I haven’t completed these, but I might go through some and even work these into presentations, as I think Azure has a lot to offer that I could use in an environment I can access from anywhere. This entry was posted in Blog and tagged book reviews, syndicated. Bookmark the permalink.